Explore the western coast of South America, where the great Inca Empire ruled. 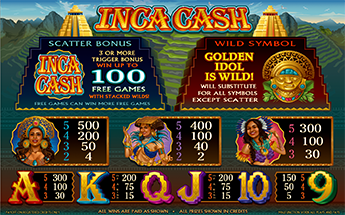 Play Inca Cash with three distinct Incan princesses and win the Incans’ Treasure. Play the Free Spin round where stacked Golden Idols pave the way for your awaiting riches. 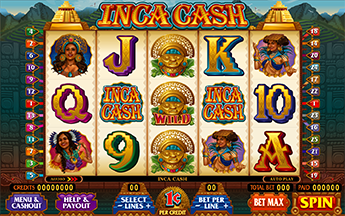 Inca Cash features stacked wild symbols on all reels, and retriggered Free Spins.